You know what I love? Well, as well as Game of Thrones, cheesecake and fake tan? Discovering new clothing sites, ESPESH ones where all of the clothes are fully on-trend and as cheap as the proverbial chips. We all know about Boohoo, Pretty Little Thing et al, but a new site that has just popped up on my radar is Wearall.com. I was sent a few items from the brand recently, including this amazing denim two-piece, and it’s safe to say that I’ve found a new fave. 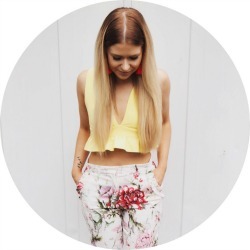 I opted for this co-ord as I’m still obsessed with the embroidery trend for summer. Co-ords also get a big thumbs up from me as they can be worn together for a statement look like this or mix-and-matched with other items from your wardrobe. I’ve already teamed the skirt with a white slogan tee, and the top will be just as cute with culottes or pale-wash jeans. Obviously today I teamed them with my River Island clogs because hello, the’re basically my new feet, and also my new red aviators from eBay. They were only £2.99, which is a) a total bargain but b) also as much as I really want to spend on sunglasses when every year I usually end up sitting on them/leaving them in a pub garden/putting them in the bottom of a bag and losing them forever. I’m super impressed with the quality of all the items I got from Wearall. 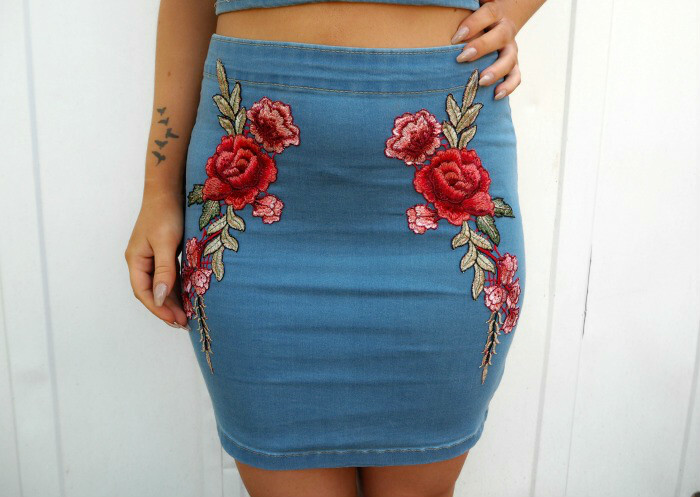 The materal of this two-piece is perfect for me as it’s mega-stretchy, so fits a lot better than normal denim skirts too. The zips are both sturdy and even the embroidery is better than I’d expect from something so reasonably-priced (£30 for the set). I’m sure I’ll be featuring the other Wearall bits I picked up soon, so keep an eye on my Instagram page at @Vanity__Claire to see what else I got! Have any of you shopped at Wearall before, or would you like to? Let me know in the comments! That is such a stunning co-ord, I need something like this in my wardrobe! I really love Wearall, and this co-ord looks perfect on you!